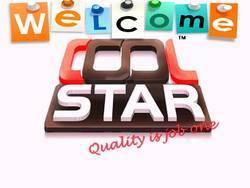 We, Cool Star Kitchen Equipment Private Limited, began our operations in the year 1995, as manufacturers, exporters, suppliers and service provider of a commendable and diverse range of Kitchen, Catering, Hospital Equipment & Kitchen Planing Services, Cold Equipment and Washing Equipment. The range offered by us to our clients comprises of Kitchen Equipment, Cold Equipment and Washing Equipment. We also offered After Sales Services to our valuable client. The appliances manufactured using the finest raw materials and modern machines, provide a commendable performance, have a long service life, a high tolerance of heat and impeccable resistance to corrosion. These appliances find application in a number of hotels, restaurants and canteens. Further, we offer our clients Kitchen Planning Services at the best possible rates. Our highly developed infrastructural facility is known to be one of the finest in the nation. This facility is equipped with all the required equipment and machinery that helps us in standardizing our manufacturing process. For the purpose of achieving smoother and hassle-free operations, our facility has been partitioned into a number of units lead by a team of experienced and qualified personnel. The units direct all their efforts towards improving the productivity and quality standards of the products we manufacture. In addition, the client base we have generated in the past few years is owing to our highly ethical working habits. Our exporting countries are Sri Lanka, Bangladesh & all Indian Subcontinent. 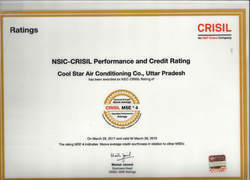 Under able guidance of our director Mr. Shah Meraj, we have achieved huge success in the few years of our existence. His ability to foresee the market changes and make tough decisions in tricky situations has always been an asset for the firm. Further, the method of developing the firm involves developing each and every individual technically and intellectually. Manufacturing and Trading of Kitchen, Catering, Hospital Equipment and Kitchen Planing Services. Cool star Backed by a rich domain experience and a highly diligent team of industry experts, we are engaged in providing comprehensive after-sales services for our range of Kitchen, Catering, Hospital Equipment & Kitchen Planing Services. Quality is the hallmark of our company, in order to maintain quality standards we provide wide range of After Sales Service. 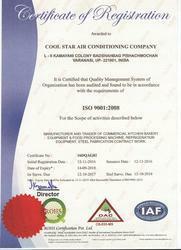 Cool star are known to be one of the leading manufacturers and suppliers of premium quality Kitchen Appliances. Thus, these appliances are manufactured using raw materials of the finest quality and high-tech machinery, strictly following the set industrial norms. Post production, the appliances are subjected to a number of quality tests. To enhance our customers’ experience of transacting with us, we provide them favorable payment and delivery terms. By maintaining high ethical standards, we have gained the distinction of being highly trustworthy. Cool Star Modest beginning at up Varanasi/Lucknow/Jharkhand/Bhutan/Bhagalpur/ up/Srilanka/Dubai uae 1995 in example of sheer focus and determination A young enterprising man shah Meraj dreamt of empowering industry with innovative product in food & beverage , display segment with absolute on R & D.
Today cool star vns operate from 4000 ft of modern manufacturing premises at Varanasi. up is one of the leading players in rapidly growing display equipment industry with ISO 9001:2000 satisfaction Crecil Rating Company. 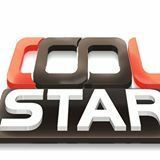 cool star offers excellent quality refrigerated, heated and ambient display equipment far a wide variety of food. these products are used by top retailers and institution serving prepared food such as sweet bakery, Food Packing machine, namkeen, fast food chaat, dry fruits , snacks food courts, ice cream a parlours etc. These display are available in plenty of size, shape. The state-of-the-art infrastructure we have is known for the efficiency it lends to our operations. The facility equipped with various modern and sophisticated equipment and machines helps us in improving our productivity and the quality of our products. We keep our facility upgraded, for the purpose of attaining a better reputation and concurring greater market share. In addition, our infrastructure is divided into a number of units, for achieving better performance. We have streamlined our operations in order to enhance our operational efficiency.